I thought I'd bring you a new healthy snack which seemed particularly relevant with Easter coming up! 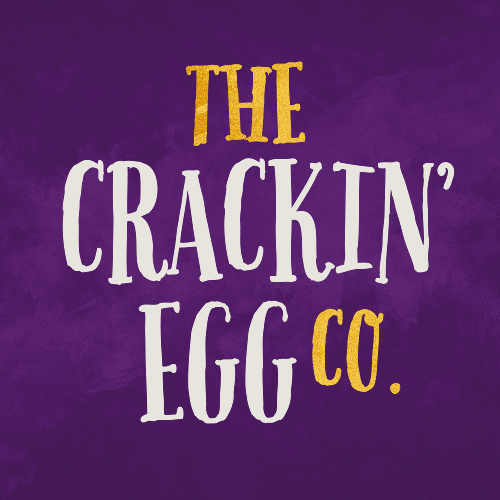 They are brightly coloured hardboiled eggs from a company called The Crackin' Egg Co, they are cased in a 100% natural coating and served with a side of flavour. I was lucky enough to be sent their two packs of Sweet Chilli* and Salt & Black Pepper* free range eggs. I liked the fact the flavouring comes in a separate generous sized sachet so you are in control of how much flavour the eggs have. I thought the packaging was vibrant and colourful and liked the hen incorporated logo. I also liked the fact the packaging colours matched the colour of the coating of the egg. The eggs tasted fresh and the sweet chilli flavouring was my favourite to give them some punch. They work well to pack for lunch for a quick and easy snack that's ready to eat. Are you tempted to try out these funky looking eggs? Let me know in the comments below.